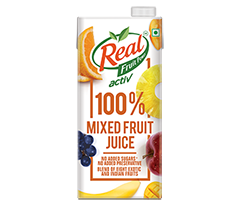 Our juices are made from select fruits which are hand-picked to ensure optimum quality. The fruits are pressed for juice, the water is evaporated to reduce transport load and later an equivalent quantity of water is added back to the concentrate at our factories. 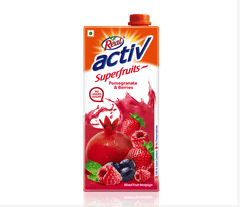 Réal Activ fruit juices follow a strict process that brings together passion, knowhow and detailing. The journey starts right from choosing the freshest fruits from the best orchards. They are pressed to create concentrates by evaporating the water. Once transported to the factories, right amount of water is added to the concentrates to retain the nutrition value. 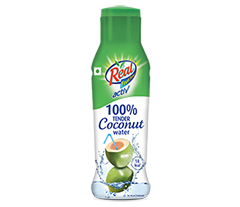 For sweetness, we trust the gift of Mother Nature and hence add no artificial sweetness. 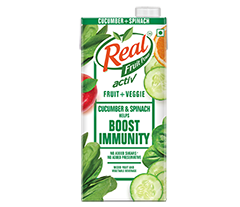 The 100% juice is finally packed using six-layered Tetra Pak technology to keep it fresh for 6 months. 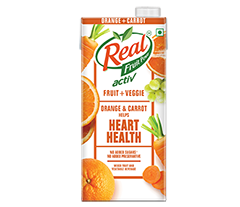 So what you get is pure juice, with no added colour or preservatives. Just the way you expect your juice to be! 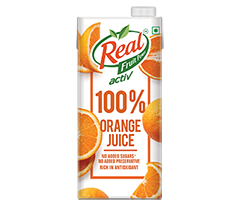 The juices are not added with any sweeteners (artificial or nutritive) to keep it pure and natural. 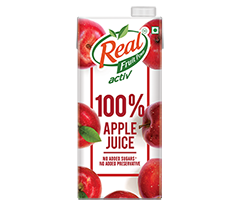 Be assured of no harmful chemical in your juice, so that all you get is health and taste. 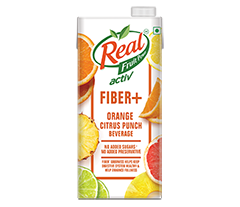 The colour of the juice is as natural as the fruit itself. 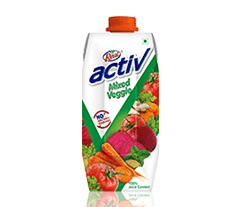 Réal Activ's Tetra Pak technology keeps the juices fresh for 6 months. 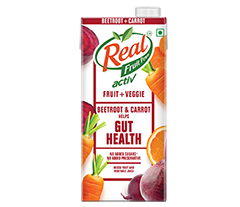 Hence there is no need to add any harmful ingredient, keeping your juice natural. 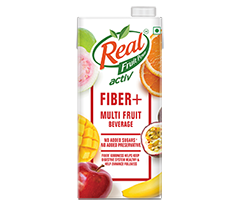 Réal Activ juices are made from concentrated fruit extracts, with the same amount of water as found in the original fruit. So all you get is pure fruit.